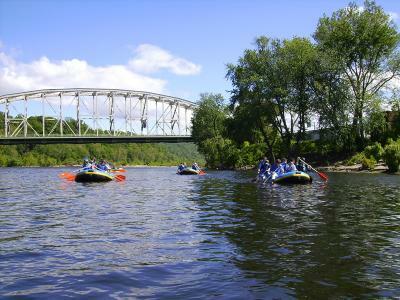 Delaware River Tubing, Rafting, Canoeing & Kayaking! 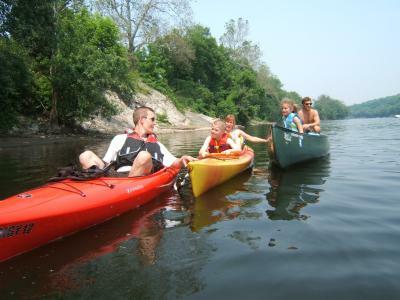 When looking for a safe, kid-friendly float trip in professional quality river rafts or Coast Guard approved tubes, or a scenic weekend canoe trip down the middle Delaware, or even the independence and maneuverability of sit-on-top or sit-inside kayaks, the Lazy River Outpost has boat rentals + everything you need. Pack a picnic lunch to enjoy on any of the miles of empty beach along the Delaware River. Don't feel like cooking? Our primary Put-In location is adjacent to the Riverside Barr & Grill. With a full menu & outdoor Tiki-Bar that's open all summer long! Call in advance for special orders and group rates. Open Thursday through Monday all summer & Tues/Wed by appointment. If reserving less than 48 hours ahead of time, please call instead! Lehigh Learning Academy recommends Lazy River Outpost to any school or organization in the tri-state area. The trip lengths and challenge levels are perfect! 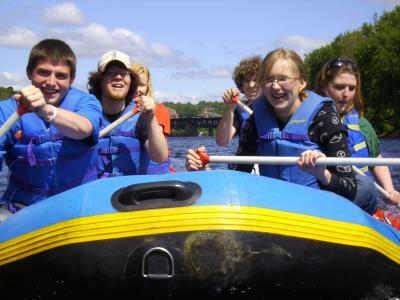 Copyright © 2013 Lazy River Outpost for Delaware River Rafting & Tubing. All rights reserved.